The third in a trilogy of documentaries called A Nation Soars: Commemorating Canada’s Great War Flyers, Flight Path of Heroes examines the Battle of Vimy Ridge from the little known but fascinating aviation perspective and seeds an intriguing broadcast documentary and a wealth of vital educational tools. When Canadians think of the Battle of Vimy Ridge, they imagine Canadians victoriously overrunning the Germans on a historic battlefield in France. But from a Canadian pilot perspective, the Battle for Vimy Ridge can be characterized as the first Canadian “joint” engagement. In 2017, Flight Path of Heroes will bring the past to the present, as it culminates in a moving cross-Canada FWW biplane tour and accompanying educational exhibit at selected aviation museums. 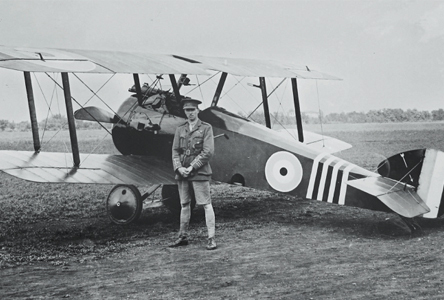 Here, the three main elements from A Nation Soars — the evolution of aviation, the evolution of mapping and the Battle of Vimy Ridge — all come together to pay tribute to two treasured anniversaries of nationhood: the 100th anniversary of the Battle of Vimy Ridge and Canada’s 150th birthday. The 2017 Flight Path of Heroes coast-to-coast flying roadshow features a squadron of six First World War biplane replicas, including the two Sopwith Pups featured in Wings of Courage, that will touch down at participating aviation museums in 12 communities across Canada. The cross-country tour and exhibit begins in Halifax, N.S. in June 2017 and charts a course from east to west, culminating in British Columbia in September. Each stop will be a weekend event hosted by a specific aviation museum and promoted to the local community. The Ottawa-Gatineau stop will coincide with Canada 150 celebrations, and our biplanes hope to participate in a moving commemorative Parliament Hill flypast on Canada Day 2017. A one-hour broadcast documentary, narrated in English by actor Dan Aykroyd and in French by explorer Bernard Voyer, reaching national English and French broadcast audiences in 2017-2018. Half-day teacher workshops at each stop on the cross-country tour. A welcome kiosk with two Canadian Geographic Education teachers and facilitators. Two FWW commemorative giant floor maps, one of the Western Front and the other a Vimy Ridge map. Two three-day teacher workshops in Ottawa and Langley, B.C. in 2016. An exhibit trailer, featuring pilot artifacts from Vimy, Vimy map mosaics and the maps they created, memorable graphic statistics that relate to Vimy and to Canada’s involvement in FWW aviation — archival images of the planes they flew and pictures of notable Canadian pilots and the sounds of Vimy during the battle. An audio/visual speakers corner booth (tied to the Vimy Foundation’s 2017 objectives) where visitors can present their ancestor’s memories and stories of the Battle of Vimy Ridge as they deliver powerful messages about triumph over insurmountable odds and the determination of the human spirit. The Flight Path of Heroes cross-country tour and exhibit will create a lasting educational legacy that will be used in schools for decades to come. Through the momentum created by Flight Path of Heroes, there’s an even broader vision to expand our activities in the earlier part of 2017. There’s a very real opportunity for our vintage biplane squadron, prior to their cross-Canada tour, to relocate to France in March of 2017 to participate in a monumental event — an epic flyover of the Vimy Memorial on April 9th, 2017, the centenary observance of the battle. For one brief moment in time our biplane squadron will return all who are watching to that momentous day for Canada 100 years ago. This represents an incredible homage to the past while celebrating Canada for what it is today — a compassionate, outward-looking country. It would undoubtedly be a moving scene for the thousands of spectators present. 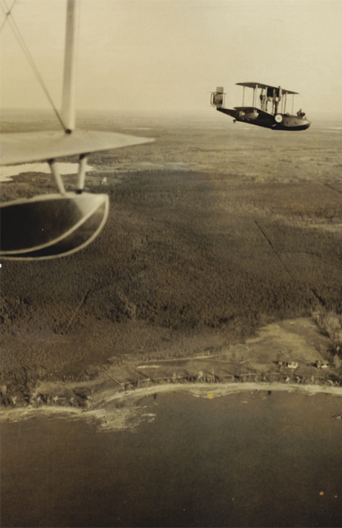 After this stirring and poignant event the pilots and biplanes would, in effect, return home in the reflected glow of century-old Canadian heroism as they prepare for our planned cross-Canada tour starting in Halifax, N.S.